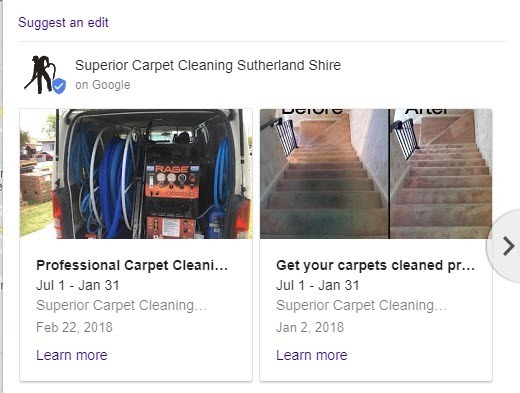 I'm going to show you six things that you can do to improve your carpet cleaning Google My Business listing and get it higher in the search rankings to get more people to contact you from the listing. First of all, I just want to remind you what the Google My Business listing is. It’s something that you can see on maps and on Google search and you can reach it through business.google.com when you logged into your Google account and you can access it there. It’s the central portal nowadays for your search presence and your map presence. So on maps, it’s this listing over here on the side and the little bullet pointer in the location that allows people to find you and get to your location. In Google search, it’s this Knowledge Graph listing. That shows up all of the bits and pieces and pulls in information from all over the place about your business and related businesses. And Google has just started allowing you to manage it from search where you can edit the information and do other things to the listing without actually being in the back end. Although you know it’s easier on the back end to work with. So the six things that you can do that will make the listing a bit better and more useful. First of all, you can add a specific appointment URL rather than just directing people to the home page of your website. If have a booking calendar or some other way of collecting bookings, you can add the address of that into there so that people can go straight to the bookings and book there. Second, you can add a business description. This is something that Google took away and put back in again. Most of you will have an opening date. Services have already always been there, but if you are not using it you can always add services as well. Just in case you don’t know what I’m talking about there, you can add a service like a room cleaning or upholstery cleaning. Give it give it a section, give it a name. put the price in, the description and load it up onto the system so it’s showing in the listing. Now Google has also had this thing called attributes. It comes from when consumers are asked to answer questions so. So the attributes are driven from this area. 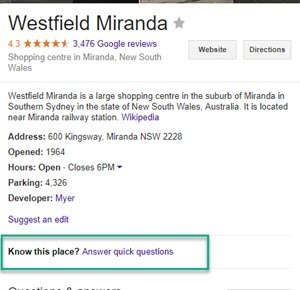 If I search for Miranda Westfield, which is a shopping centre close to me. See that “Know this place? Answer quick questions. Google will ask me a question. Is there a wheelchair accessible parking – yes. Now as a number of other people answer that question, then Google will add those attributes to the listing here and enable you to click on them and add them. In this case, they’ve made it so for your business is a woman-led business, you can click on that button, and then press Apply and that puts the woman led attribute on the on the page itself. These attributes add a nice little set of icons in here that improve the value of the list. Next Google has allowed you to add videos to your listing. Obviously, videos are far more useful and engaging and people love watching video rather than looking at pictures. So you can go to photos and then you can just press add videos or if that element doesn’t show up you can add up here and you can just post videos onto the listing. Either drag and drop them or grab them from YouTube. That helps engage users on your Google Listing. Further, they’ve set up this facility called posts where you can add a post to your Google My Business listing. This can be used for updates to your business, special offers etc. basically any business reason that you might want to engage people. 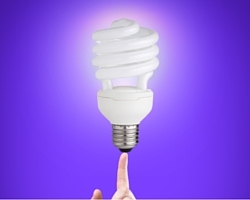 Here’s a couple of examples of how businesses use this. This one is one is colorbond fencing. And you can see it increases the size of the Google My Business knowledge graph listings significantly and here’s a couple of posts that they put in. Here’s another one for security products. In this case, they use book a live demo and a case study. You can use it for anything like that and it’s really helpful from that point of view for engaging your audience and be improving the size of your knowledge listing. And then the last one, of course, is collecting reviews and responding to them. Reviews are the single most important thing you can do for your listing. They improve the ranking of the listing itself in Google search and they encourage customers to click through to your website. You should reply to the reviews and respond to them. You can just reply…. “I’m glad you had that experience. It’s just what we like to deliver” anything along those lines. It shows customers and prospective customers that you care as well. So there you go there’s six things you can do to improve the ranking of your listing by collecting reviews and responding to them and improving the visibility and the look of your listing by adding a description. Adding the woman lead attributes of it exists adding videos using posts and adding the appointment U.R.L. address to your listing as well. By doing that you’ll get more traffic to your Google my business listing and you’ll get more traffic through to your website and you’ll get more contacts.